1965 Porsche 356SC Electric Sunroof Coupe, one owner garaged California car, original factory floor pans, numbers match, low original miles. Excellent body gaps, original California black license plates, rare corduroy insert seats. Engine was recently removed and all the seals were replaced, runs and drives superb. We ice-blasted the undercarriage and sealed it will epoxy primer for 30 year rust protection. All undercarriage factory spot welds are visible, zero rust. Bought new in the San Francisco Bay Area by a Silicon Valley executive and kept here every since. Several panels were repainted over the years, but retains some original paint. 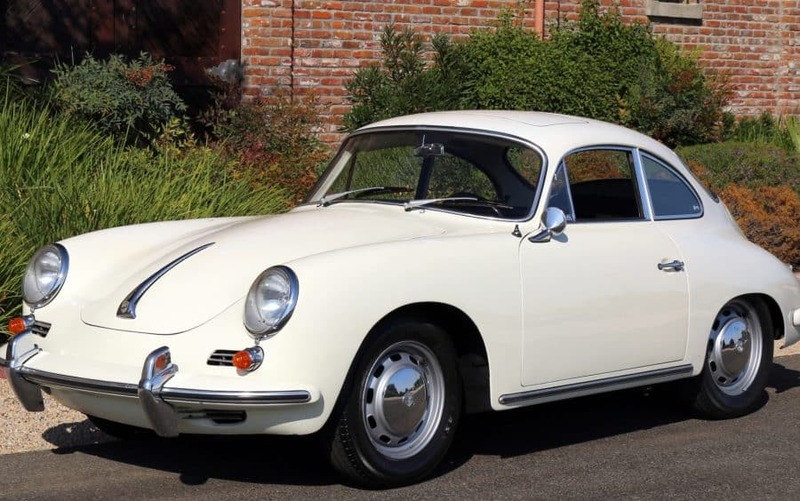 This is a wonderful example of the last and best 356 model produced, and only a very few came with the electric factory sunroof. COA included.